Merry Christmas! 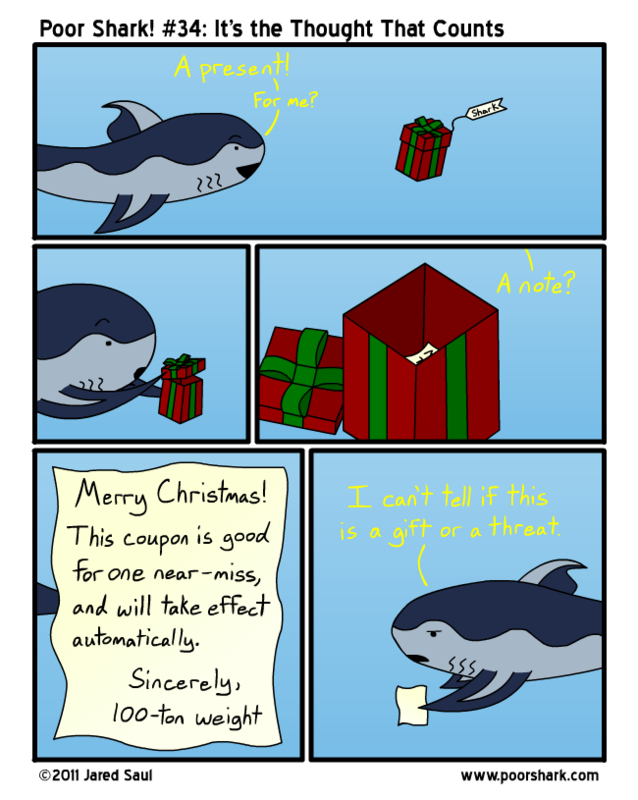 Shark apparently gets more presents than Charlie Brown gets valentines. I tried out a comic with the Pen Tool this time instead of freehand-drawing everything like I normally do. I can’t tell if it took more or less time or even actually looks nicer, but one obvious change is that the line thickness doesn’t vary widely throughout, heh. You can be the judge of that. I’m doing next week’s comic the same way. I’ll also be attempting some updates to the site this week, so if you pop in and things look wacky, there’s a 98% chance it’s probably me!